Inspire children with imaginative number games that let them toss, sequence and count colourful bean bags! 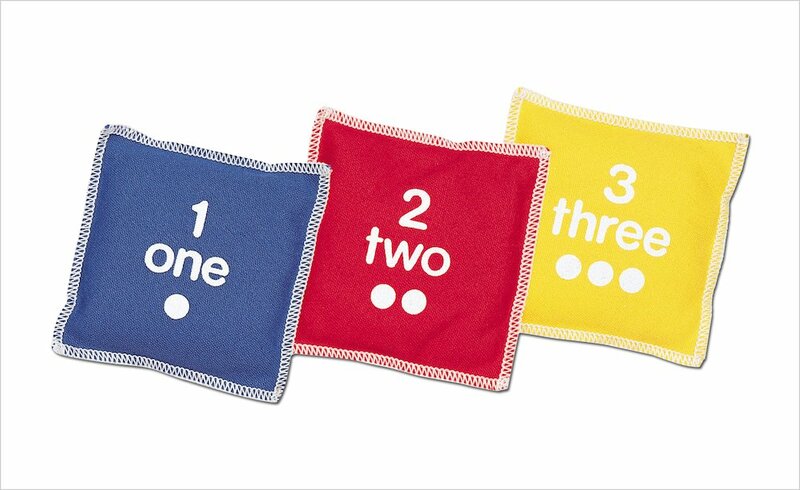 These appealing and tactile bean bags are perfect for first number work and building motor skills. In vibrant colours, they each feature the numeral and written form of a number, illustrated with dots which represent the quantity in a visual form. They can be used initially to recognise and name numbers, and then to add, subtract, order, divide and multiply them. A fantastic way to incorporate first maths into group play. 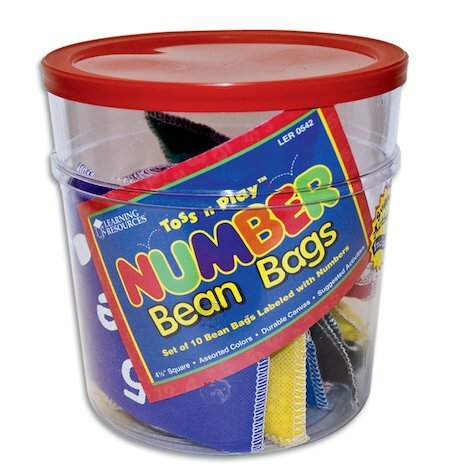 Contains ten 10×10cm bean bags in a reusable plastic storage tub.